Amy M. Burns has taught PreK-grade 4 general music for over 20 years at Far Hills Country Day School. She has authored three books on how to integrate tech into the elementary music classroom. She has presented many sessions on the topic, including four keynote addresses in TX, IN, St. Maarten, and AU. She is the recipient of the 2005 TI:ME Teacher of the Year, 2016 NJ Master Music Teacher, 2016 Governor’s Leader in Arts Education, and the 2017 NJ Nonpublic School Teacher of the Year Awards. One of my goals for this school year was to make more cross-curricular connections with other subjects along with keeping the music curriculum intact. One of my first endeavors was making this connection with first grade science. The first grade science teacher is one of those inspiring teachers who brings in guest scientists and makes her science classroom an educational and fun place to learn. 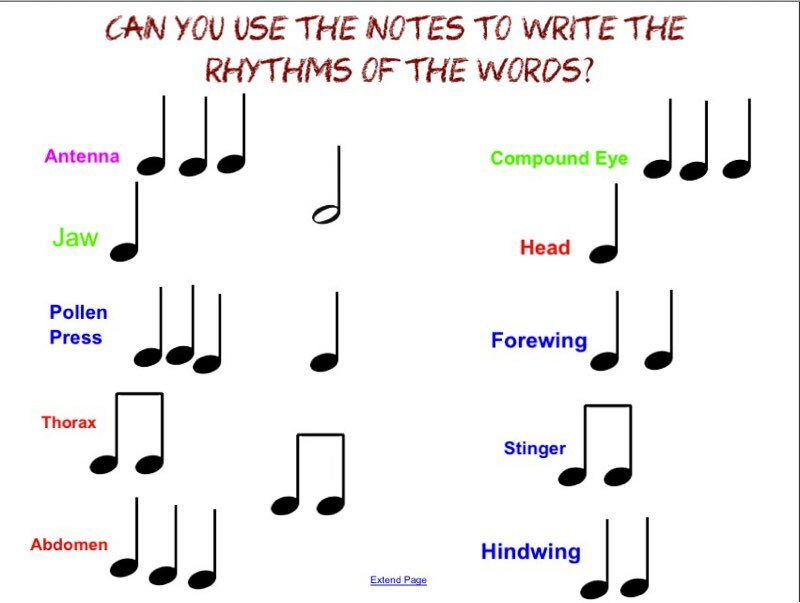 In the first grade music curriculum during the fall, I wanted to have the students compose rhythm patterns that they would use to perform with an accompaniment created in GarageBand. My goal was for them to compose rhythm patterns with quarter, half, and eighth notes and perform them on classroom instruments. When I had to reschedule one of my music classes because a bee keeper would be visiting the first grade science classroom, I decided to attend the science class. The beekeeper was this sweet, elderly gentleman who spoke to the children about the importance of bees and all of the facets of beekeeping. It was very interesting. During the class, I listened to the children name the parts of a bee. Once I heard them list the parts, I realized that the parts would be my rhythm patterns. 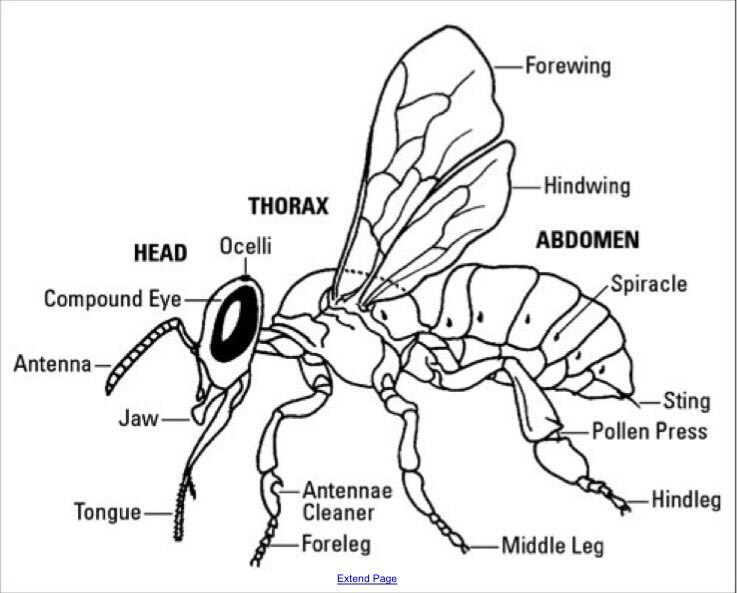 Through a google search, I found a picture of a bee with the parts labeled and a picture of a bee with parts that were not labeled. I placed these pictures in my SMART Notebook and used the text tool to make the labels. On the first slide, the children moved the words to label the bee. We checked our work on the second slide. On the third slide, I infinite cloned the quarter, eighth, and half notes. The students would clap a part, like compound eye, and choose the rhythms to make the rhythm pattern (i.e. three quarter notes). The students then chose classroom instruments to perform the rhythm patterns they created. Finally, using an external microphone, we recorded our rhythm patterns into the GarageBand accompaniment. The students stated that they liked many items in this project: naming the parts of the bees, performing on instruments, hearing the bee sounds in the song, and having science in music class. For me, I was thrilled to reach my cross-curriculum goal and finding another way to teach composing, reading notes, and performing on instruments. Any info, student examples, pictures, graphics, etc, may be used with permission. Please contact me personally before using any info, student examples, pictures, graphics, etc.